Wabi Sabi Neriage* pots. 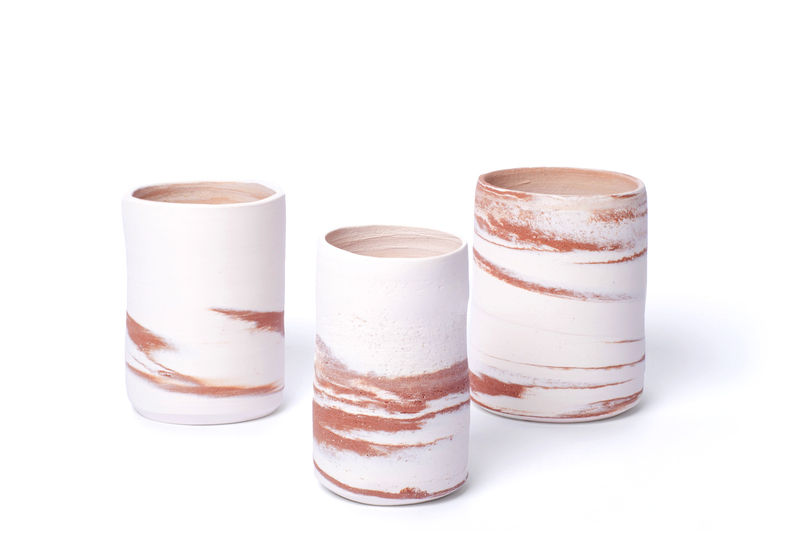 The two different clays (porcelain and red stoneware) have been mixed on the wheel then thrown together to form a colored cloudy effect. 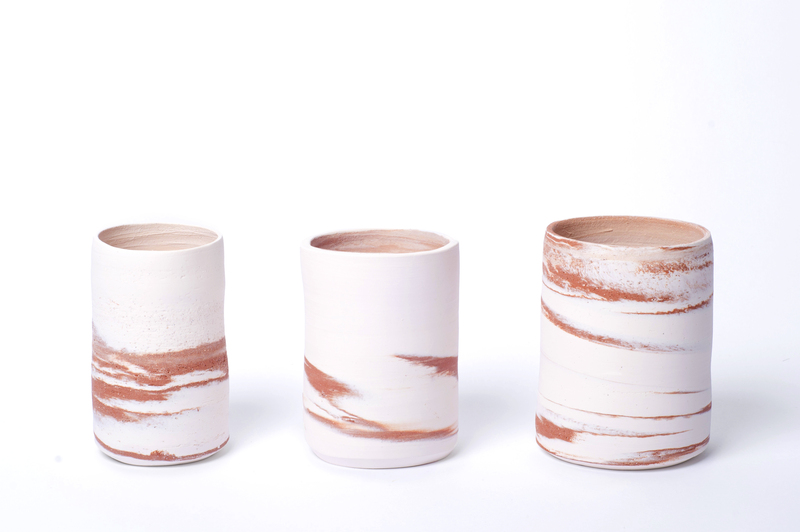 These pots have been made during my artistic residency in Japan at the Shigaraki Ceramic Cultural Park. I have been much inspired by the Wabi Sabi aesthetics, that values serendipity and the surprises we can get while working with a material. 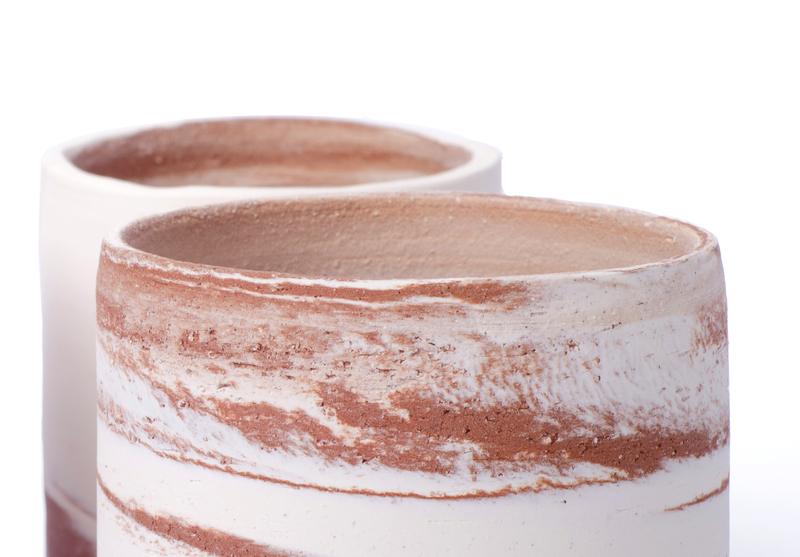 Some features of these pots are characteristic of the Wabi Sabi: visible details of the raw material with no finish (no glaze), asymmetry, imperfection, etc. According to the Wabi Sabi, the material has a certain expression that is only brought to life by the work of the artist. 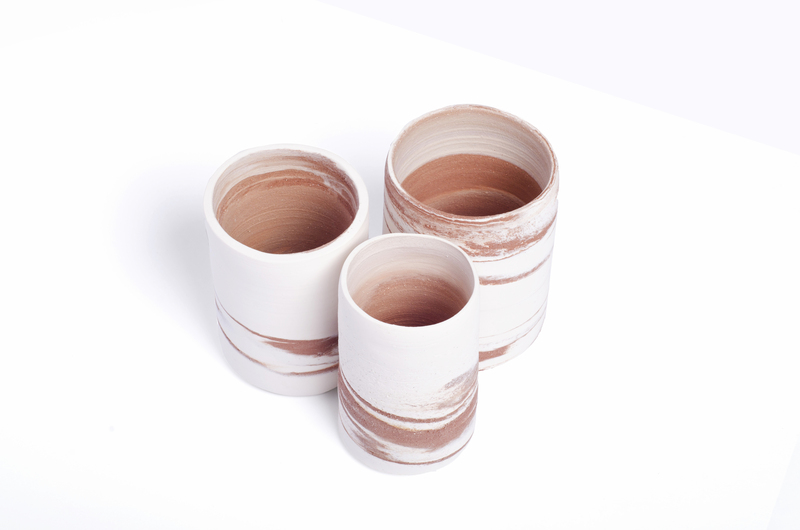 *Neriage is the name of the technique for mixing two or more colored clays and throwing. For hand-built pieces, it’s called nerikomi.